No matter what type of roofing services you need, we can help. If you’re like most property owners, you probably don’t spend a lot of time thinking about your roof. Perhaps you’ve spotted a few curled or missing shingles up there, or you’re noticing some warning signs of a roofing issue, but you haven’t done much about it. At Race City Roofing, we provide all types of roofing services to make sure you don’t have to worry about the condition of your roof. We can send a roofing technician to your residential or commercial property on a regular basis to inspect the condition and make sure it’s in good shape. If we spot any areas of concern, we can perform a repair or talk about other options to protect the interior of your building. In addition to regular inspections, we offer many other roofing services for property owners throughout Huntersville, North Carolina. 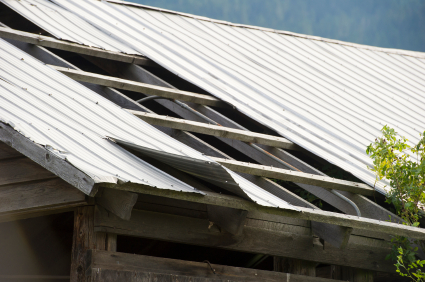 We can repair sections of the roof that have been damaged in storms or other weather conditions. Our roofing technicians also offer replacement and installation services. If your roof is nearing the end of its lifespan, we can come up with a plan to replace the existing materials with new materials that can offer better protection. Most of our clients have shingle roofs, although we also provide services for metal roofs on both commercial and residential buildings. When we perform work at your building, we offer a lifetime warranty on the labor. This is just one of the aspects of our service that sets us apart from other companies. No matter what type of roofing services you need, we can help at Race City Roofing. Race City Roofing is the #1 roofing contractor in the Charlotte, NC area. We offer a wide variety of professional & affordable roofing services including, “Roofing Services” for Charlotte, Mooresville, Gastonia, Hickory, Cornelius, Huntersville, Denver, Troutman, Statesville and Lake Norman.